At Canyon Ridge Pediatric Dentistry, we use dental sealants to protect your child’s teeth and prevent cavities. If you live in Parker, CO or the local area, we encourage you to call (303) 390-5183 and schedule an appointment with our dental office. We can examine your child’s teeth before letting you know if dental sealants are the right preventative care solution. Dental sealants are a plastic coating that is incredibly thin and brushed onto the chewing surfaces of the molars or back teeth. This process helps to prevent tooth decay. Food can easily become trapped inside the deep ridges on the chewing surfaces of the teeth. These areas can be incredibly difficult to clean, so at Canyon Ridge Pediatric Dentistry, we seal these ridges to prevent food and plaque buildup. By eliminating the areas for food to become trapped, the risk for cavities is decreased. Both children and adults can get dental sealants. However, this procedure is most commonly performed on children that have not yet suffered from tooth decay; at least on the tooth or teeth in question. If a child in your family has deep ridges in his or her teeth, this can be a beneficial solution for maintaining optimal oral health. Incredibly easy. When you visit our Parker, CO dental office, we can clean your child’s teeth. Afterward, we will apply a gel to the surface of your child’s teeth and let it dry. Then, we will rinse and dry the tooth one more time, before finally placing the dental sealants. The sealant is literally painted onto the tooth and sometimes dried with a special dental light. The process only takes a couple of minutes per tooth. The process is so easy that our patients are usually surprised by how fast it is complete. 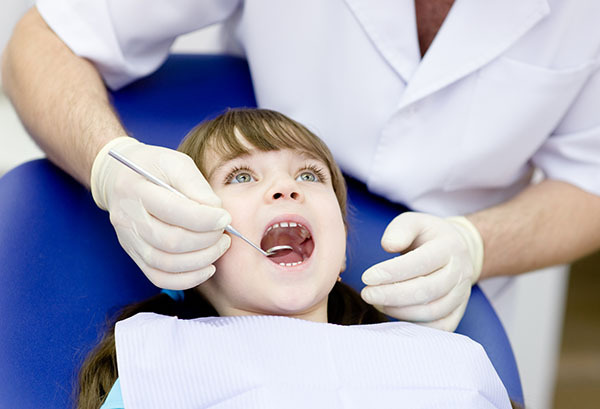 Do children mind getting dental sealants? Typically, no. The process is easy, fast and completely comfortable. There is no drilling or invasive preparation. As a bonus, the sealant does not cause any irritation or smell funny. It is truly an easy way to prevent cavities. What does it feel like after the dental sealants are placed? We have found that our patients in the local area cannot even notice them after the procedure. The sealants are clear and are not obvious to others. If your child runs his or her tongue along the teeth, then the child may be able to feel a slight difference. Yet, the sealants are smooth and will not feel uncomfortable in any way. Yes, they do. By preventing food and plaque from becoming stuck in your child’s teeth, the risk for developing cavities is significantly reduced. 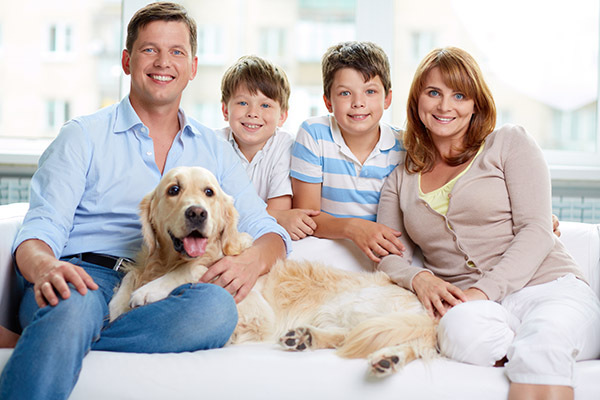 As a result, your family may experience less tooth decay, fewer cavities and less of a need for dental restorations. This means fewer dental appointments and more money in the bank. At Canyon Ridge Pediatric Dentistry, we have found that sealants typically last for five to ten years. The sealants are incredibly effective, but we will want to monitor them during regular dental examinations. Naturally, there are certain things like chewing on pencils or biting down on ice that can wear down the dental sealant. It is important for parents to make safe and healthy choices, regarding what the child consumes or puts in the mouth. If Dr. Marc Thomas, sees that the sealants are wearing down, we may recommend that they are replaced to help your child benefit from this layer of protection. If you live in Parker, CO or the local area, call 303-390-5183 to schedule an appointment with our dental office. At Canyon Ridge Pediatric Dentistry, we would be happy to examine your child’s teeth before letting you know if sealants are a good solution for him or her. We can provide you with all of the information you need to make an educated decision and get started. Check out what others are saying about our dental sealants on Yelp: Dental Sealants Parker. Dental sealants are a tool for preventing oral health problems. They are incredibly effective at doing so and typically used in children for this very reason. They are not, however, a solve-all solution. Dr. Marc Thomas, typically recommends that sealants are used as part of an overall treatment plan, rather than as a singular solution. Regular teeth cleanings are still important and should be done twice per year. The sealant is only placed on the chewing surfaces of the teeth. Due to this, the sealant does not protect the front, back or sides of your teeth from becoming infected or experiencing tooth decay. Plaque can still build up in these areas and professional dental cleanings are the best way to remove it. At Canyon Ridge Pediatric Dentistry, we also recommend that children continue to receive fluoride treatments. Fluorine is a mineral that strengthens the teeth and has been proven to reduce the risk for tooth decay by 30 percent in children. Fluoride treatments play an active and important role in preventative dentistry. Parents should not forgo fluoride treatments if their child has dental sealants. Even with dental sealants, the child is still susceptible to infection and tooth decay. Fluoride treatments allow patients to approach oral health from multiple angles. While at home, you should also continue to practice good oral hygiene with your child. This includes brushing teeth two to three times per day with fluoride toothpaste, flossing at least daily, and eating a mouth-healthy diet. Lean protein, vegetables, dairy products and nuts help with the process of remineralization; they work to keep teeth healthy and strong. Chewing on ice is one example of an action that can actually damage teeth, chip teeth and be harmful to your child’s dental sealant. Make sure that you and your family are taking care of your teeth, by making positive choices in and out of the dentist office. When you visit our Parker dental office, we will be happy to provide you with more information on dental sealants and preventive care. Our goal is for your family to have healthy teeth for a lifetime. Education, prevention, and care are all part of that process. To learn more, call (303) 390-5183 and schedule an appointment today. If you live in Parker, Colorado call 303-390-5183 and schedule your appointment to experience why patients trust Canyon Ridge Pediatric Dentistry with all of their Dental Sealants needs.